Koh Samui: the name evokes a lush paradise of luscious mountains, exotic flowers and miles of soft sand beaches. This tropical dream is no mere fantasy–everything you’ve heard about this breath-taking island is true. Just stepping off the plane at Samui airport, you already know you’re someplace special. The air feels softer here, sweetened by the countless flowers and palms. Hit the road for any of Samui’s stunning regions and you will drive through a rugged, tropical landscape and along spectacular coastal stretches. Whether it’s your first time, or you’re one of Samui’s repeat visitors, don’t be surprised if you catch yourself saying “wow” more than once along the way. 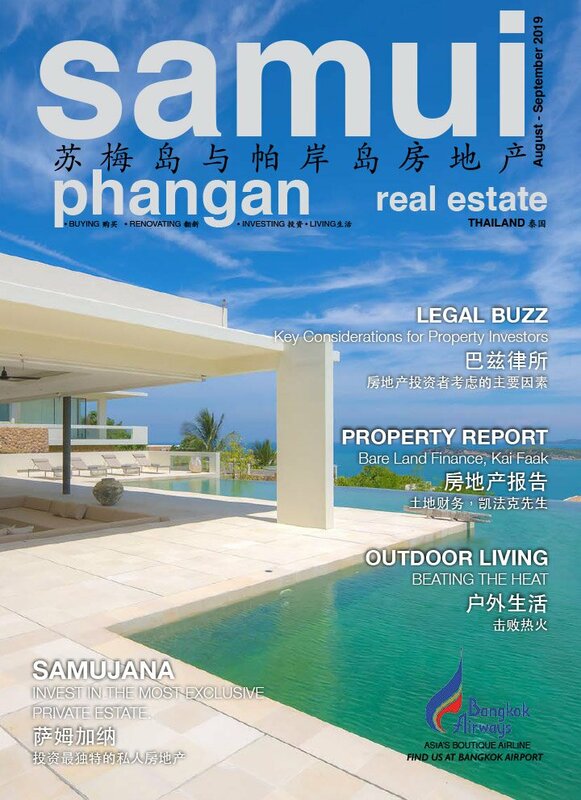 In this Samui Phangan Real Estate Magazine Edition 85 you will find just about everything that will make this dream into a reality. Not only are we dedicated to enhancing your real estate experience through innovation, technology, and effective communication but our whole team have lived on Samui for mostly over two decades. We live the dream that we are promoting. In this edition we have our second feature article on Home Hydroponics, we look at the advantages of using a solar powered air condition unit and we have a complete tour of Rudi’s window and door factory. Not ending there we feature the beautiful sea view apartments of Chariya Residence on Samui’s North Coast and the stunning Sea Renity villa. Sea Renity is a luxury 6-bedroom villa complete with kid’s bunk room located on Laem Sor Beach with 24 metres of beachfront and backed by luscious hillsides. There are stunning views over to Koh Tan and the most romantic sunsets making the perfect end to the perfect day in paradise. If your interested about living on Koh Samui or Koh Phangan then you will find all the advice and legal information here. Plus, if you have any specific questions, we have a full team here eagerly waiting to help. One of the most frequently asked questions from expats when they first arrive is: where to buy furniture in Samui? Many expats choose not to bring their furniture from home. This is in case the furniture does not fit or to avoid unnecessary shipping charges on possibly unusable items. This entry was posted in Inside & Out on April 1, 2019 by Samui Phangan Magazine Team. Why buy a Chariya Residence Apartment? Chariya Residence offers these absolutely stunning Sea View Apartments FREEHOLD, so you own the Apartment in your own name doing away with the mess and fuss of having to set up a Thai Company and the Apartment registration is in your own personal name. 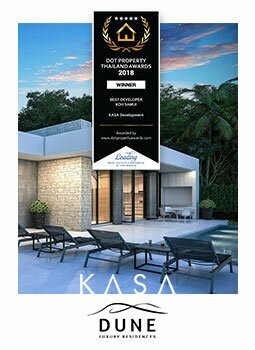 This entry was posted in Realty In Focus on April 1, 2019 by Samui Phangan Magazine Team. Are you an armchair critic? Time to buy a lounge chair! For some of us from colder climes and of a certain age, armchairs can conjure up memories of sitting beside a roaring log fire at Christmas time or grandpa with his slippers on and his feet up next to the fire smoking a pipe and his nose in a good book. If you are like me then you care about what goes into your body. Sometimes not easy in our busy world and hectic days but I am a firm believer of the adage “You are what You eat”.